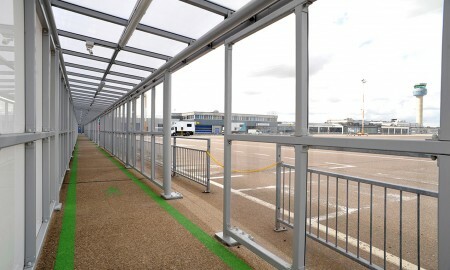 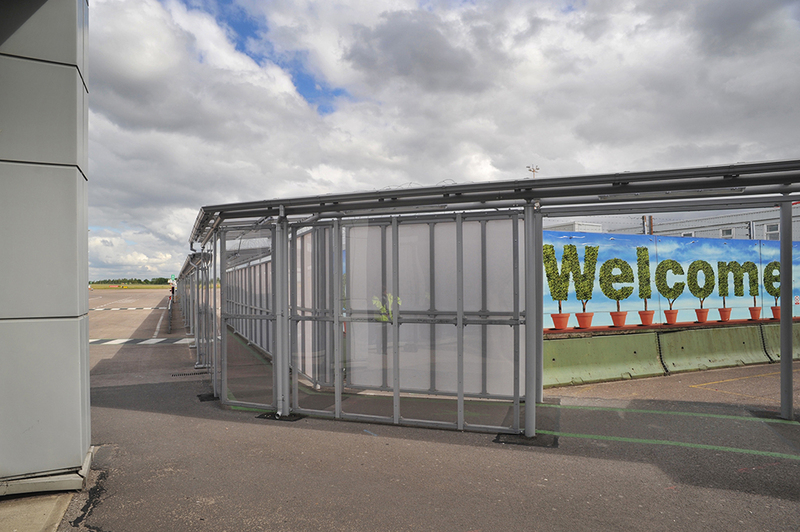 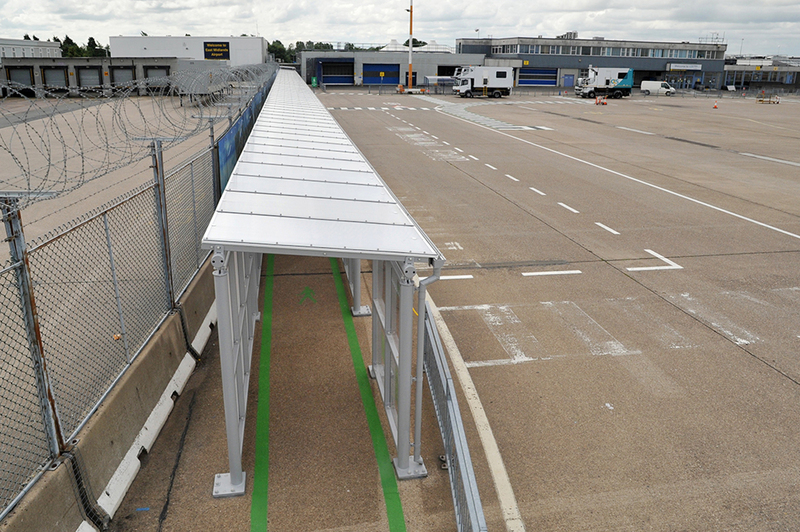 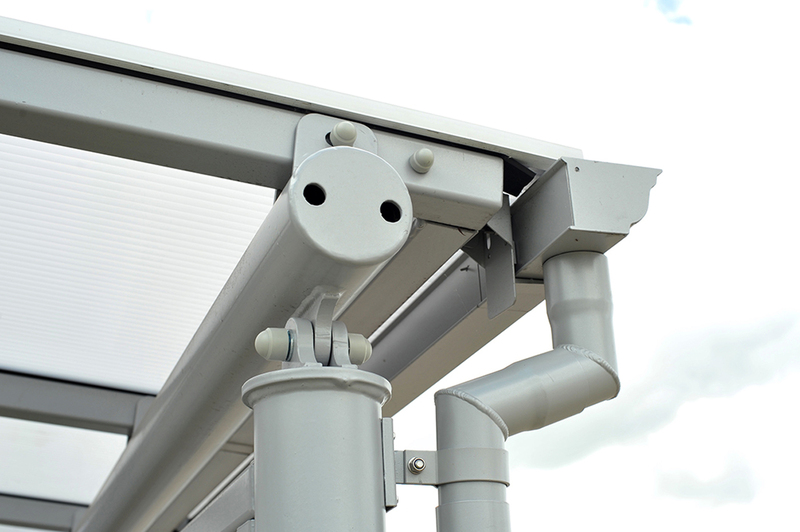 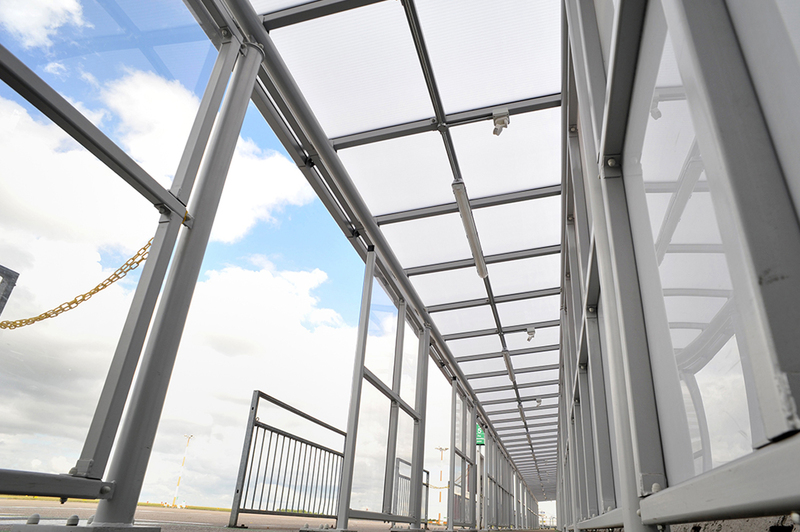 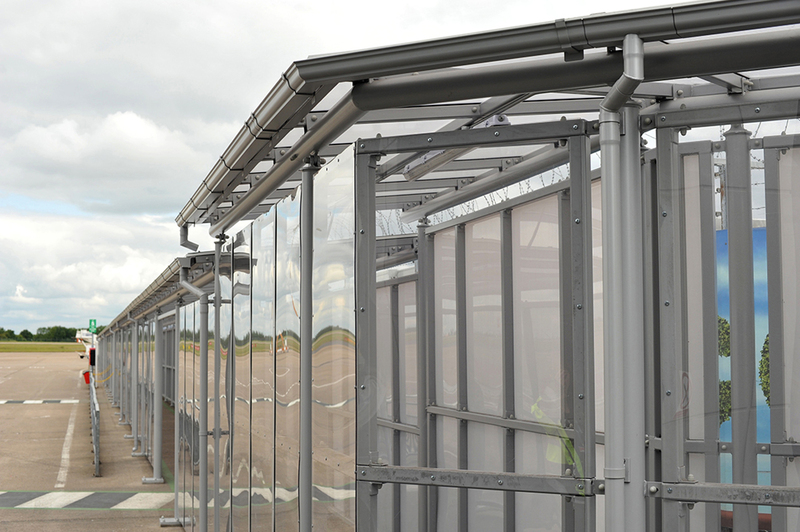 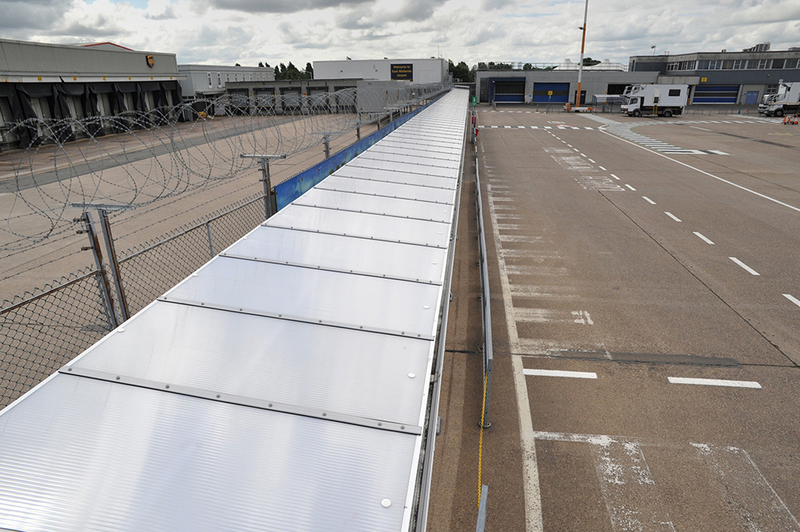 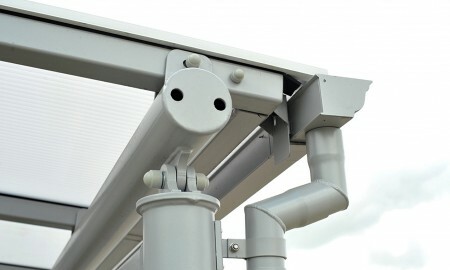 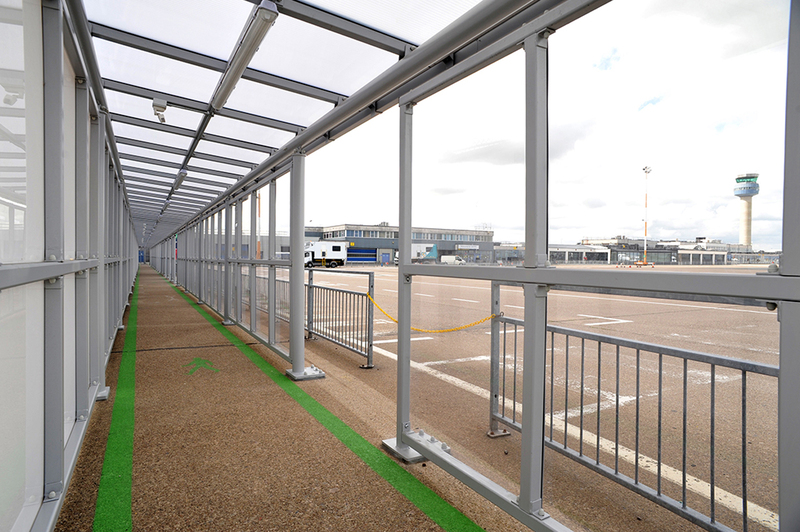 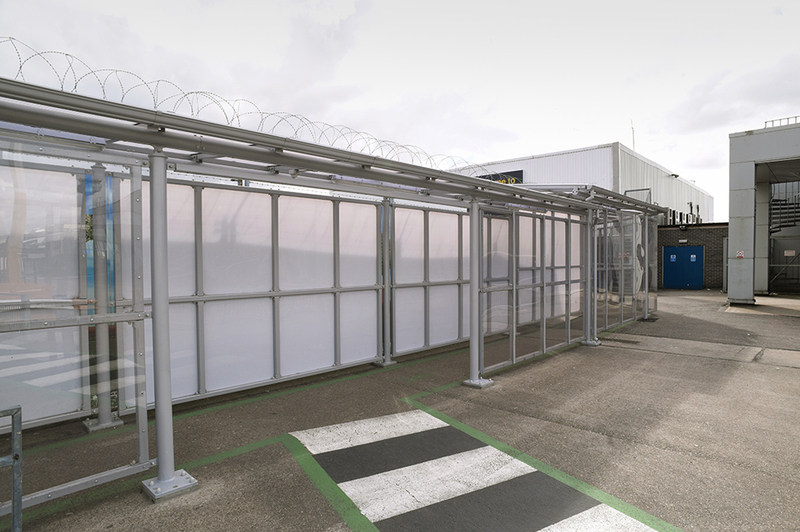 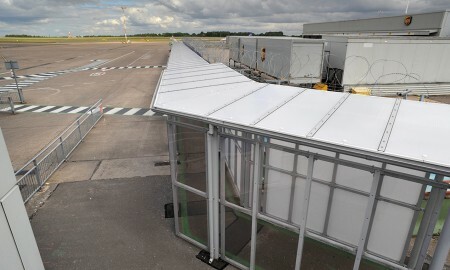 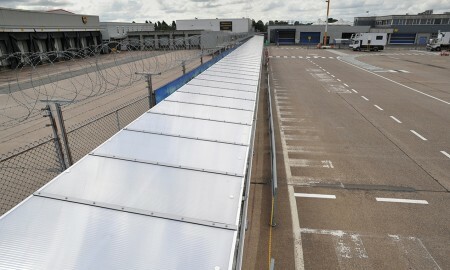 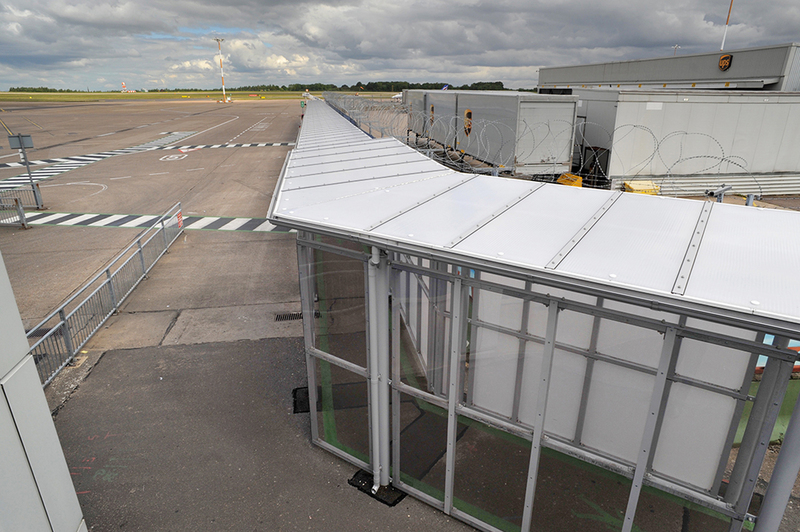 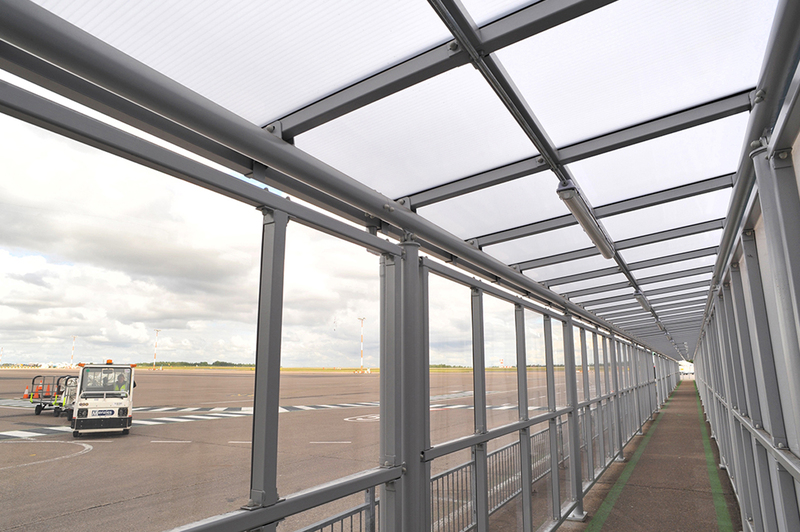 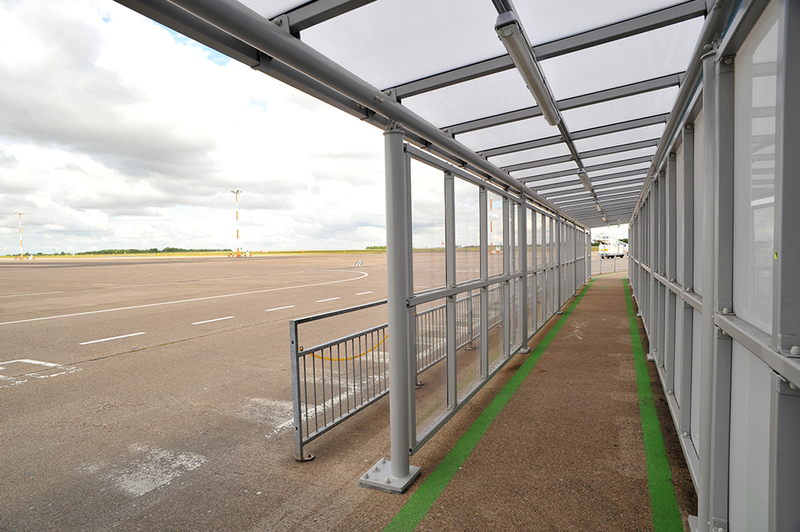 Working for Galliford Try Construction Ltd, Broxap were tasked with designing a solution for East midlands airport who required a Bespoke ‘Luton’ monopitch walkway, to be installed on the airside apron from the main terminal building. 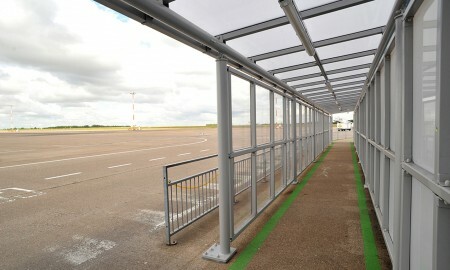 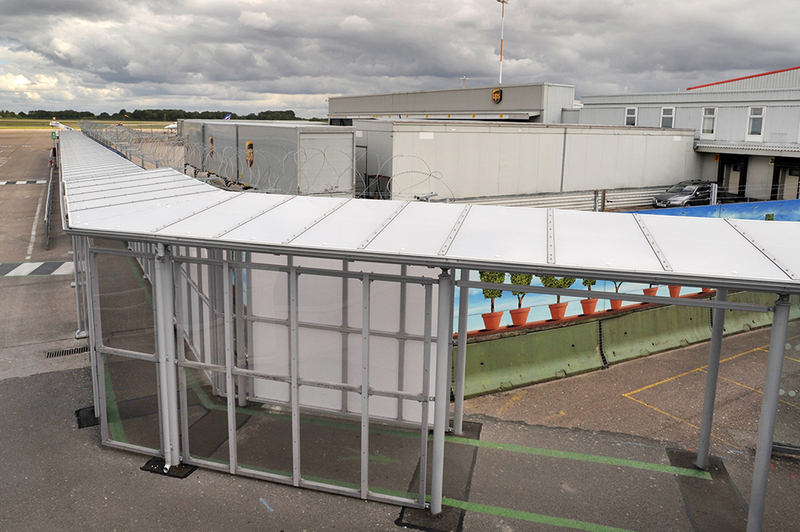 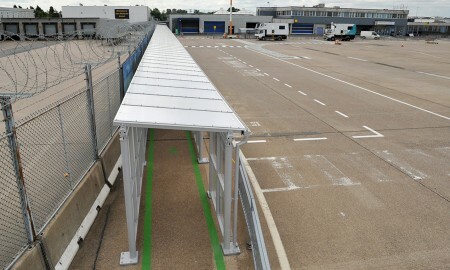 The walkway is intended to provide shelter for passengers disembarking from the aeroplane and guide them to customs through an existing shelter adjacent to the main terminal. 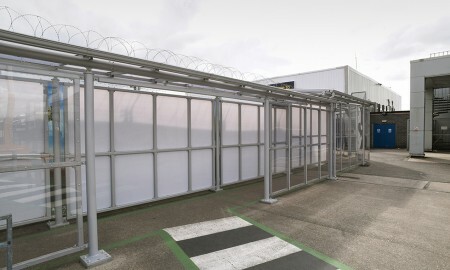 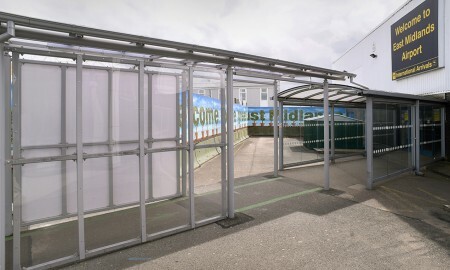 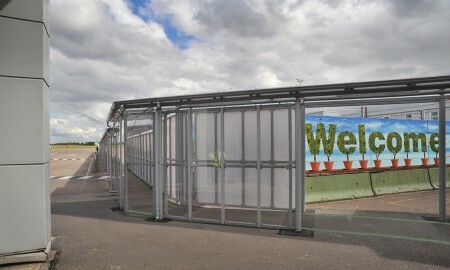 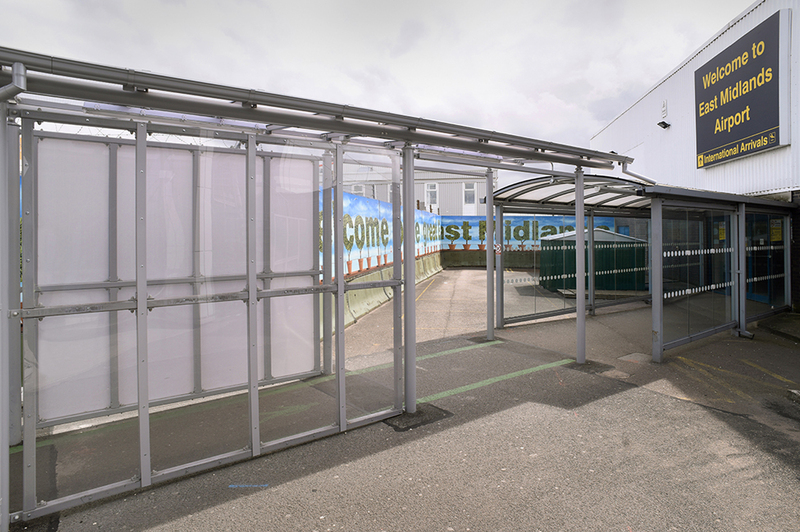 The shelter includes roof and side cladding with access openings set intervals to coincide with existing zebra crossings. 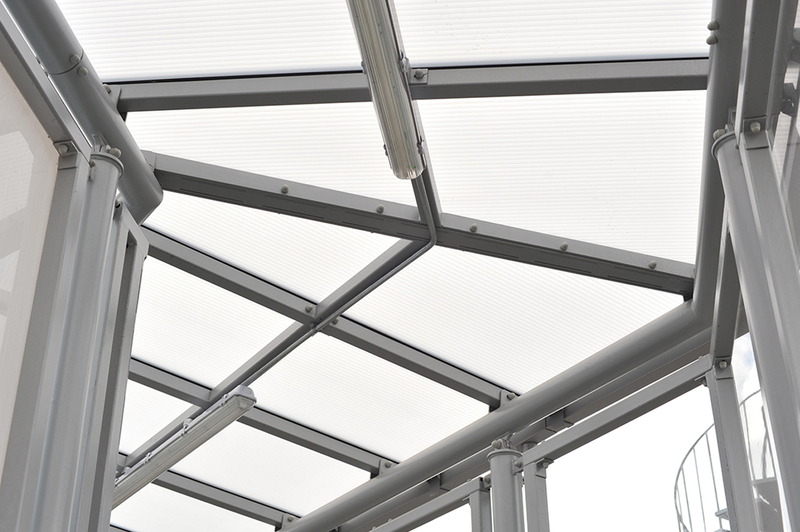 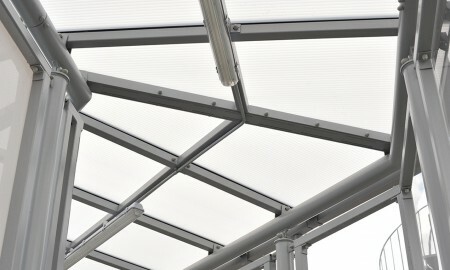 Roof Cladding- opal 16mm structured multiwall polycarbonate. 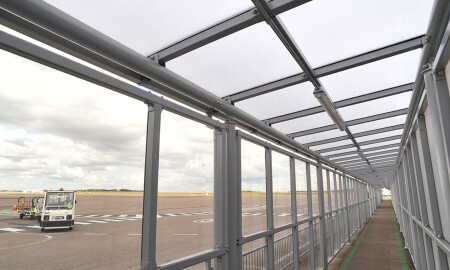 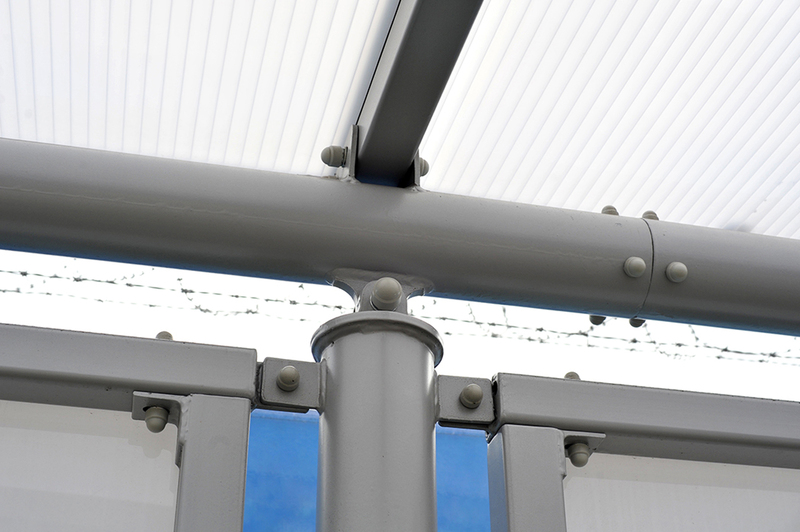 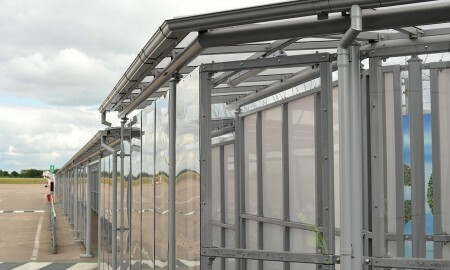 Side Cladding- clear 5mm PETg UV includes 1500mm gap in side panel for access at immigration end. 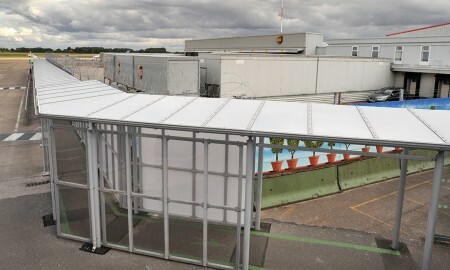 Front panels to incorporate regular breaks, as indicated on received drawings, to allow coach drop offs. 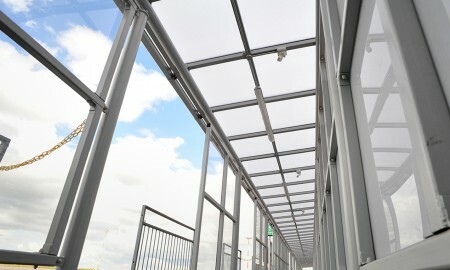 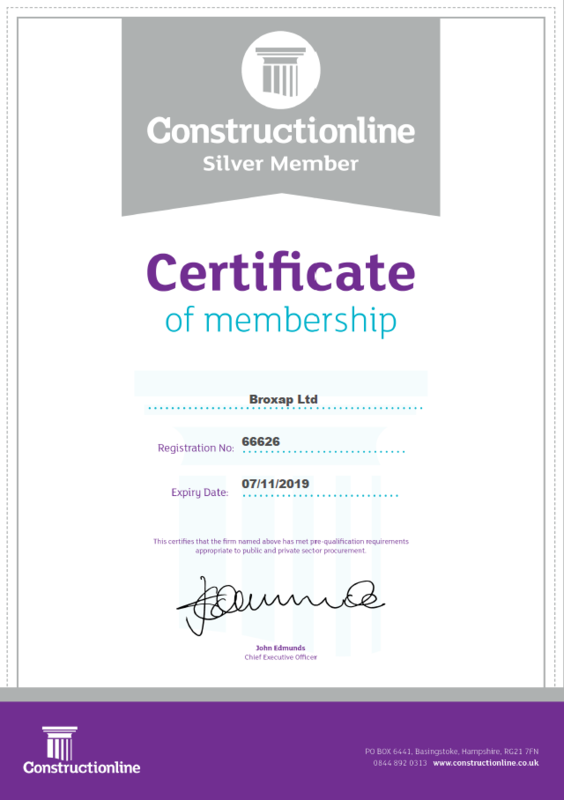 Includes standard strip lighting installed by Broxap.